Home / andrapradeshnews / WHEN ARE THE TOP POSTS REPLACED? WHEN ARE THE TOP POSTS REPLACED? The administration must be strong enough to keep the administration clean. The rule is effective if full staff. The benefits of government welfare will be eligible. 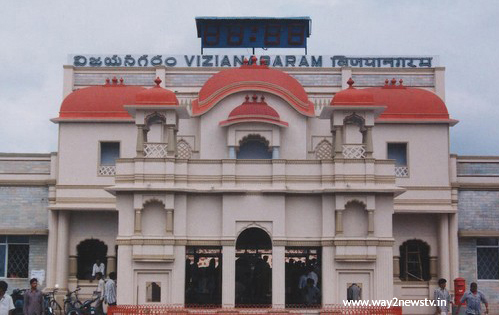 However, information on vacant posts in Vizianagaram has been vacant for some time. Everything wants to be appointed immediately to focus on this topic. Everything is more than ten of the key sectors in the district. The lack of officers in the key sectors has become very problematic. The burden of work on the lower level officers is getting higher. This does not happen to people in a timely manner. As a result, people are going to have to go around the collectorate. Several days ago, the ACB was caught in the case of assets exceeds JC-2 K Nageshwar Rao. This means that the number of key posts vacated is over 10. The most important works of the district collector or revenue department are already pending. Besides, the burden of the burden is the lack of the JC-2. The DRO also retires in ten days. Overall, the district's top officials are getting worse over the rule and the problem of public issues. District Collector Joint Collector, Joint Collector-2, Panchayat Raj SE, JDP Deputy CEO, Deputy DEO, Setvie CEO, APEWIDC, Disabled Department AD, Municipal Commissioner (Vijayanagaram) and RWSEE (Parvatipuram) are vacant posts. All of these posts have to be appointed by the authorities immediately. People who work on it may be troubled by the pressure of the staff.